Right there, when you were in elementary school. When you could pick up a stick and it would be instantly transformed into anything else. Maybe it was a sword, and you were a brave knight. Or it was a fairy princess wand and you were the magical fairy princess. Or maybe it was a wizard's wand, a guitar, a witch's broom... How amazing was that stick to YOU?! I bet you see your kids doing those very same things. At least, they are for now. Tell me, when did your imagination start to take a back seat? Did you even realize it happened? The imagination of a child is a magical place. It's one that disappears without us realizing it, too. Let's savor this moment. Let's capture their magic, their sparkle, their creativity. Lets reach into their little world and bring it to life! 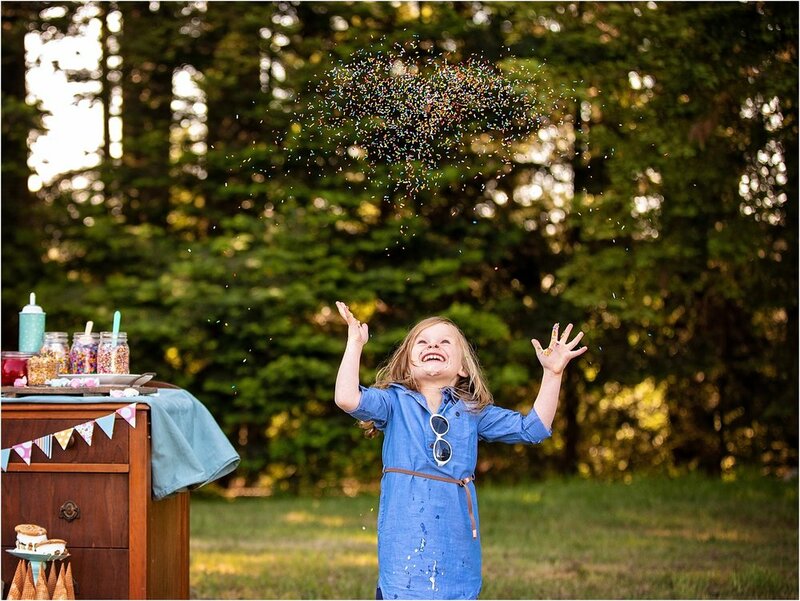 Let's capture their wonder, their whimsy, their JOY with a Magical Moments Session! These special, and personalized sessions take time to plan. Somewhere around 4-6 weeks to brainstorm, create, and gather everything we'll need to bring their dreams to life. Let's get to work!